Everybody needs some kind of structure to manage their day. Some people leave post-it notes all over the place, others like the write things by hand (perish the thought!) 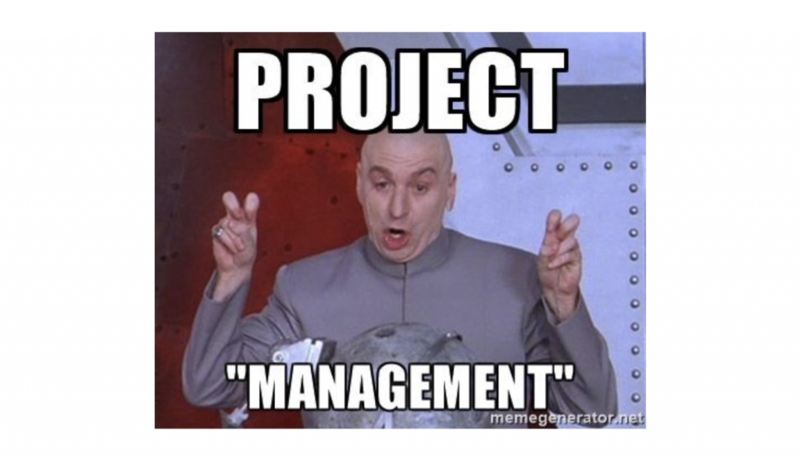 and some use complex project management tools. I use Trello (Google Keep is also similar). Trello is a tool that allows you to create lists and move the elements of those lists around. 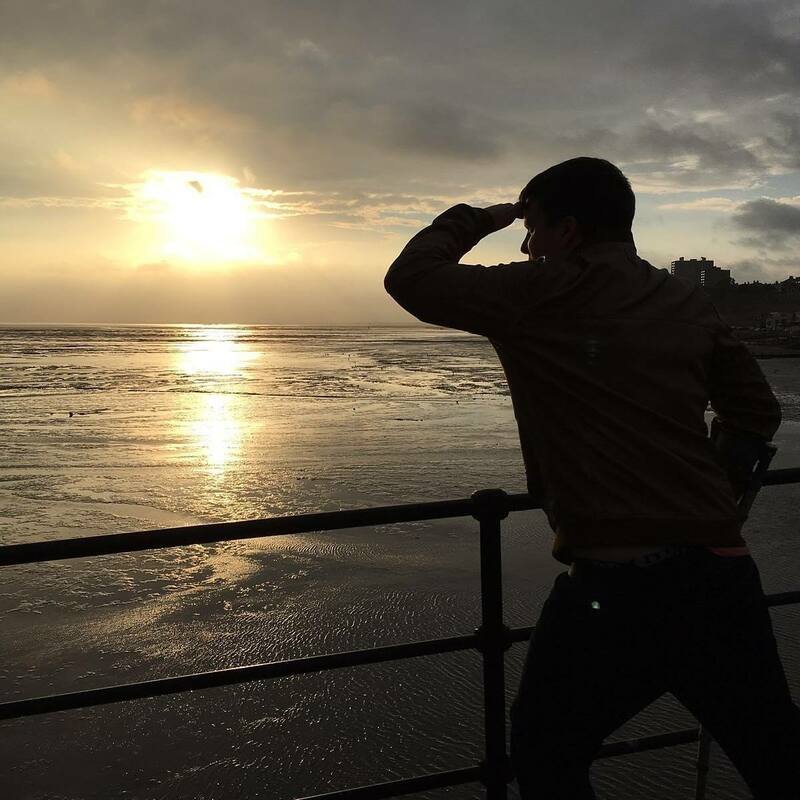 It’s something that took me quite a while to figure out – as I use it in ways it’s not necessarily designed for, but it now has an enormous impact on my professional life and is something I couldn’t see myself without. Plus… it’s free. 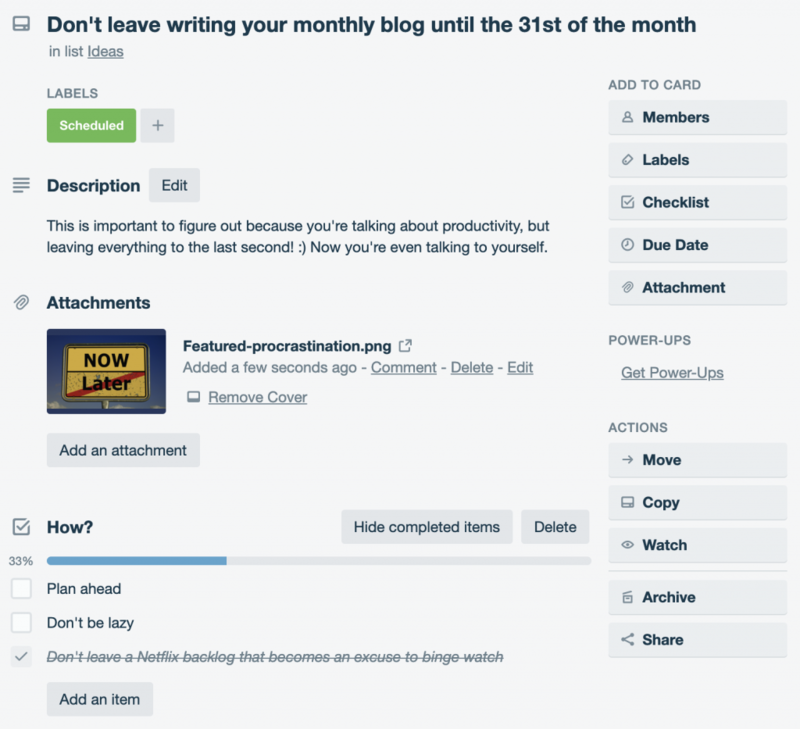 This post talks about how I use Trello to run everything at work. Hopefully it’ll inspire you to do the same! This type of workflow is something you’ll see time and time again throughout their site – setting up the lists (columns) so you can move things from left to right to mark off tasks. In the right scenario, this can be incredibly valuable – but you do need a real scenario that warrants it in this kind of workflow. The issue I have here is maintenance, why does it matter if things are in the done column? Why not just archive (remove) the card when it’s done? How long should something sit in the Done column? I just see it as quite often overcomplicating very simple tick-box style things. The in-process type column is useful for sure, so you don’t lose track of what you’re doing… but that’s about as far as it goes for me. It’s important that productivity tools and hacks in general don’t do the opposite of what they’re intended for, and take up more of your time than they save. I guess if you just need structure in your day-to-day, it can be a valuable route to take, but if you’re looking to save time and be more productive, don’t overcomplicate things. It’s not all about collaboration – sure, that’s part of the value of PM tools, but I personally use them more to organise my life, make sure nothing falls through the cracks, and streamline everything I do. My job requires me to make constant changes and improvement to my department, these can be small quick things or longer term projects. 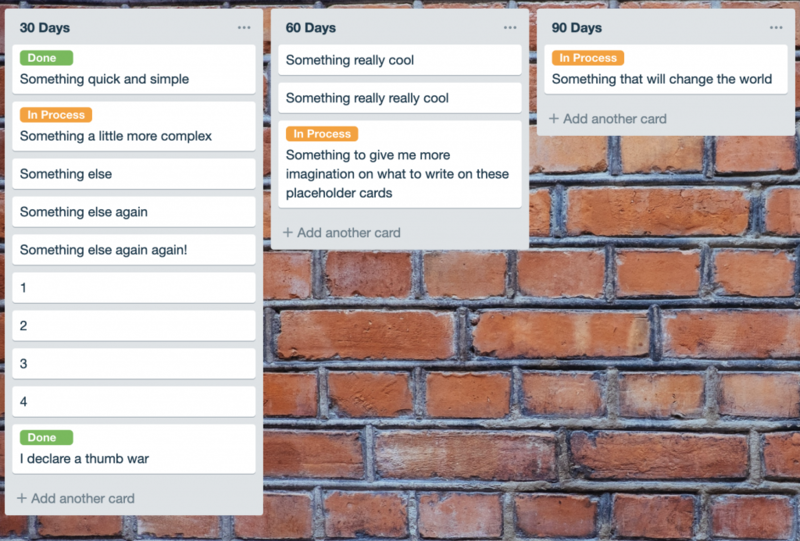 It doesn’t require crazy complex gantt charts, just a simple 30/60/90 day planning tool – Trello is perfect for this. Notice how instead of using multiple columns to move things from in-process –> done, I use the colour coding system. Unlike the previous point, it’s important to note what’s been ‘done’ in this context because it drives future changes and execution of the plan. Having things split into brackets of when they need to be executed, helps me manage my time and make sure nothing get’s missed, be that something quick and simple or starting something that’ll change the world (I hadn’t had enough coffee when I made that image). Once again, we’ve replaced the notion of moving cards from left to right with a key. We encourage people to come up with ideas, which can then be prioritized and/or flagged for a team discussion. We also want the team to drive any training requests and suggest things to make the product even better. Finally, we setup all functions to have a quarterly project, something big picture that spans the entire Q, and we use the Trello board to help drive that. That’s the same card I made in the previous example, but this is the view when you open it up. I’ve added a description, image and a checklist of things I’d need to do to achieve the card. These can all serve as discussion points to drive part of a meeting. I have standing weekly and bi-weekly meetings with people across the business and I never want to go into a meeting unprepared or with nothing to talk about – otherwise what’s the point? 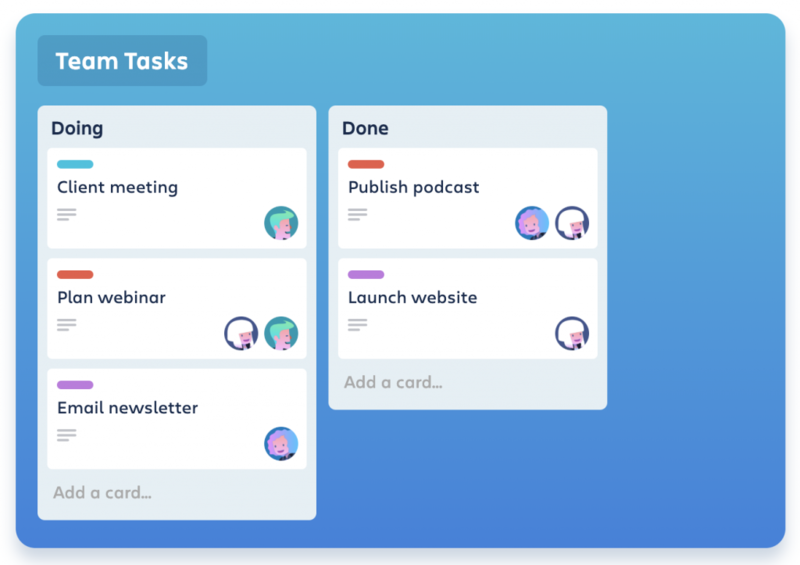 If all parties are responsible for contributing to an agenda in a shared format like Trello, and the agenda for a certain week is empty… cancel the meeting and take an hour of your life back. 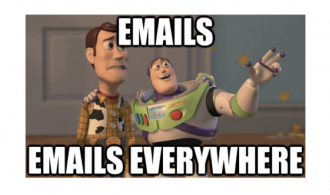 Trello is awesome, but it can be tricky to get attached to it and integrate it into your daily workflow like you can with the email system. Setup is technically simple but you do have to know what you want to achieve with it. 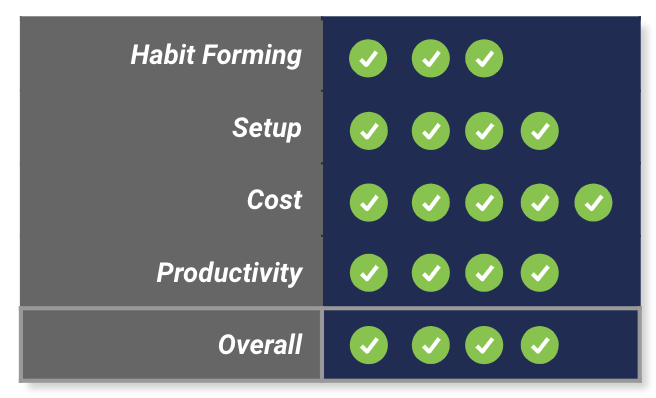 Trello scores full marks for cost because the free tool is amazing and it drops points for overall productivity simply because it’s one of those things you can end up using for the sake of it – but stick to the guidelines above and it can have a huge impact on streamlining your day-to-day.